I could see it all so clearly in my mind. The twinkling lights of the Christmas tree in the corner of the room. Perry Como’s voice crooning as only he can croon those holiday classics. Snow flakes gently falling outside the window. Steaming cups of hot cocoa with marshmallows and my family gathered together perhaps wearing matching holiday pajamas. My husband would take out his Bible and read to us about the story of that first Christmas. The kids would be so moved by the moment that they would forever have it emblazed in their memories. They would pay homage to us years later as they recalled to everyone near and far how their parents, particularly their mother, had created such magical holiday experiences for them. Because I could see all of this playing out so clearly in my mind, I just knew that I could turn this vision into a reality. I informed my husband that come Sunday evening, we would be making Christmas memories as a family like nobody’s business. When I described to him what I envisioned he just looked at me warily. But there was no room for skepticism in my advent dream! Sunday rolled around and after dinner we told the kids that we would be meeting in the family room to do something special. 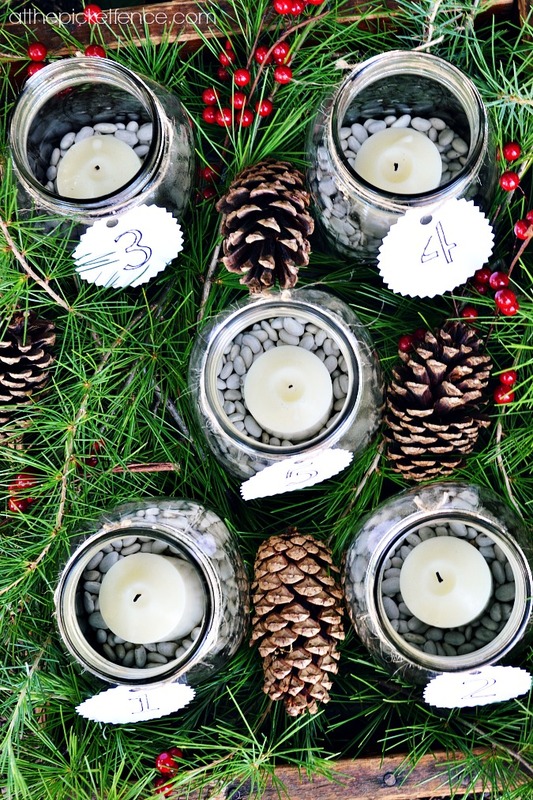 Their little eyes lit up with excitement and I could see all of the pieces of my advent puzzle falling right into place. Oh sure, their holiday pajamas were still in the dirty clothes hamper and there were no snowflakes gently falling outside but I was willing to let those things go. I sent my husband to grab his Bible, checked that the Christmas tree lights were turned on, made sure Perry was crooning at just the right volume, flipped the switch on the gas fireplace and soon the room was filled with the glow of fake logs. I instructed the kids to sit down on the floor and explained that we were going to start a new tradition together as a family. We were going to celebrate advent and daddy was going to read to us the story of the first Christmas a little bit each Sunday for the 4 weeks leading up to Christmas with the last portion to be read on Christmas Eve. Their lack of reaction gave me my first clue that perhaps this evening wasn’t going to go as planned. But, just as my husband was opening the Bible, my son yelled, “Wait! Can I read it?” Oh, this was even better than I had imagined! Our child showing so much interest in advent that he wants to read the story from the Bible to us himself. I fought back tears as my heart swelled with pride. Without hesitation my husband passed it over to him and showed him where to start reading. And then I blinked and the story was over. Wait! What was that? Did he read actual words? Because all I heard was a bunch of mumbling at such a rapid pace that I couldn’t understand anything coherent let alone holy and reverent. I think I might have picked up the words “wise men” but other than that it was just a big blur. And then, just when I was getting ready to ask him to try again without the speed reading element, it happened. Someone passed gas. Loudly. Uncontrollable giggling, the inevitable response, ensued and soon the glow of the fireplace, the twinkling lights of the Christmas tree and even Perry Como couldn’t compensate for the fact that my advent dream was going the way of the leg lamp from the movie ‘A Christmas Story’; crumbling to pieces. We tried to regroup and start over but it was too late. The kids quickly moved from giggling to wiggling to wanting to be anywhere except sitting quietly in some kind of wannabe Hallmark moment. After tucking them in bed for the night I returned to the family room and sat staring at those fake logs glowing in my fireplace. I thought about how I had dreamed, had expected, the evening to go. Glancing over at the Bible which had been casually tossed aside amidst all of the gaseousness, I began to think about how often my expectations don’t match up with reality. About how I build things up to unrealistic proportions which so often leave me feeling disappointed and how after all of these years I should know better. I picked up the Bible and began to read about another woman whose dreams for her life didn’t quite turn out the way she had planned. A young woman whose expectations for her future were suddenly and drastically altered. You see, the word advent means “arrival or coming” and as Mary awaited the arrival of her son, I wonder if she was consumed with thoughts of how differently her life would turn out to be. Or was she able to rest in the knowledge that while everything might not be going according to her plan, the outcome would be far more amazing than she could have possibly imagined. So I choose to embrace my own reality, knowing that while there are so many things that have happened differently than I had planned, they always end up better than anything I could have orchestrated. Hallmark can keep it’s picture perfect moments. I’ll take the ones that involve speed reading and gas any day! 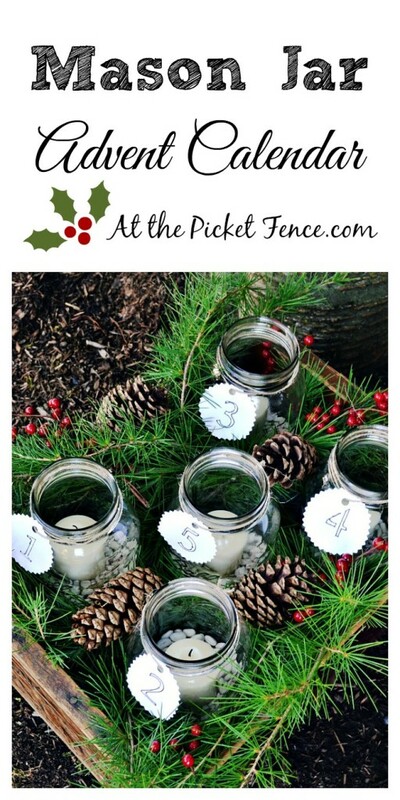 17 Comments on "Mason Jar Advent Calendar & Advent-ures"
You seriously made me laugh out loud. 🙂 I think perfect is totally overrated! 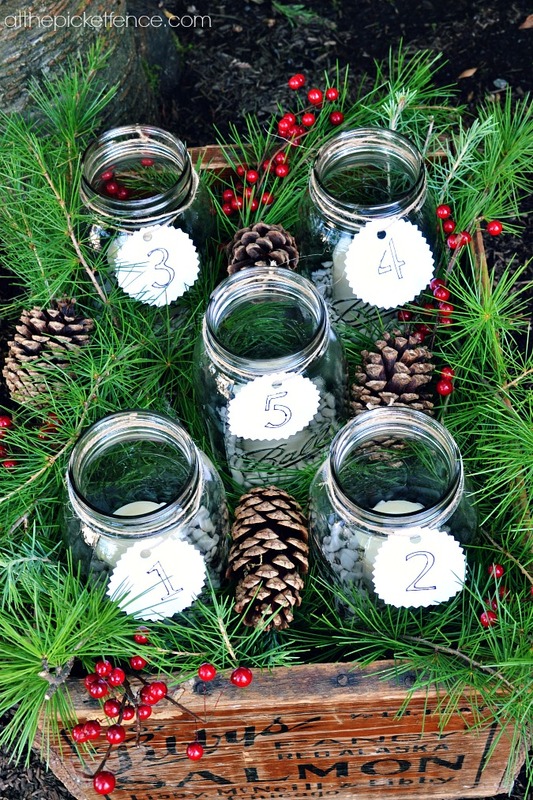 Love the advent calendar idea! Thank you for the laugh and the reality check! No, my life hasn’t turned out to be the Hallmark movie that I want but it has had a few Hallmark moments! Thank you Julia! Isn’t real life better than a hallmark movie anyway? 🙂 I’ve had quite a few Hallmark moments and I treasure those but I’m learning to treasure the crazy stuff just as much. Blessings to you! Whoa, how did we end up with the same families? 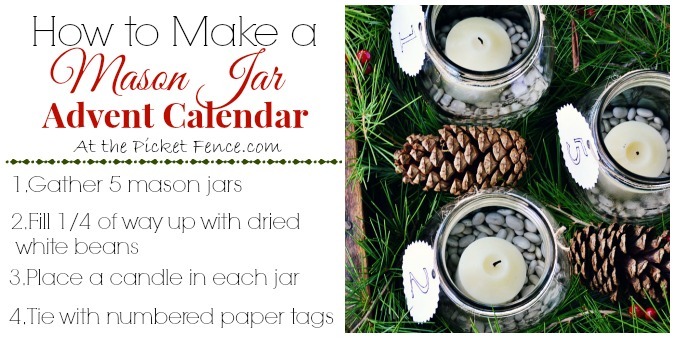 Love this real post and the advent. True on so many levels! Amen to this Vanessa – in real life … the best! Thank you so much Susan! Even with all of it’s craziness real life is definitely the best! I so love this story!!! As a mom of four almost all grown children, I can totally relate . Thank you for your wisdom and your honesty, and I too agree that all things do work out the way they should. God does have purpose in all things, even though they may frustrate us in the process. 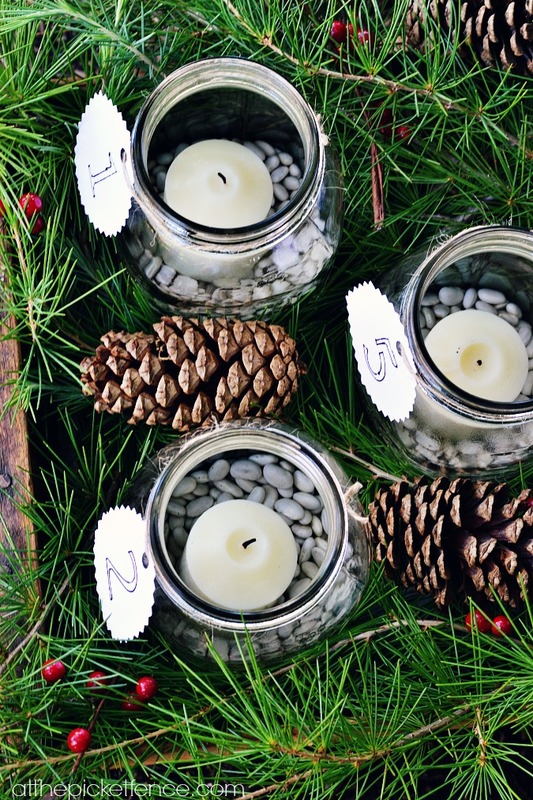 I too have had many Hallmark plans which seem to lose the fizzle, but yet we have so many wonderful and memorable family traditions and experiences. Have a wonderful New Year! !❤️ God is so good! !